Inspired by the works on display in ‘A Life in Colour: The Art of Doris Hatt’ students from Danesfield Middle School have opened their own exhibition of modernist art at the Museum of Somerset. 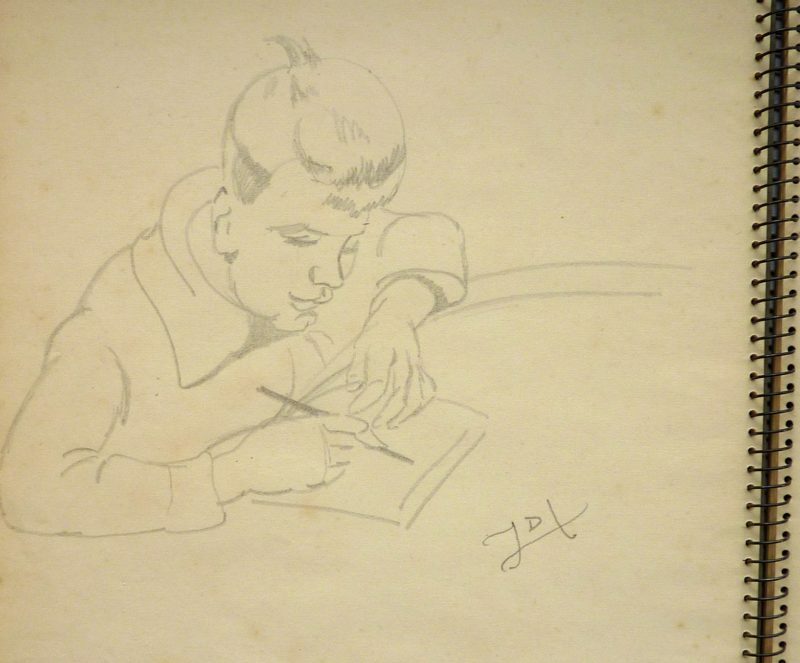 Education was an issue close to the heart of the artist Doris Hatt and one she shared with her lifelong partner Margery Mack Smith. Our project with Danesfield students, Contains Art and local artist Lyn Mowat, continues this legacy. 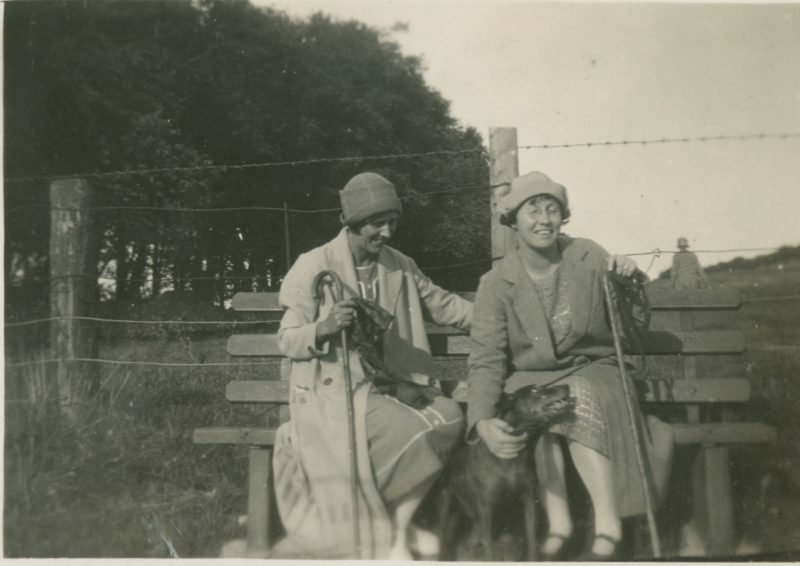 Doris and Margery were passionate about the benefits of education and offered free painting and drawing classes for children at their home in Clevedon. Children from the local area came along including two girls who lived in a neighbouring cottage, Peggy and Marie Mogg, who were regular attenders and helpers. Margery was also a weaver and taught children how to do some simple weaving. The classes began in the 1930s but were interrupted by the Second World War. Margery Mack Smith (1891-1975) was a primary school teacher and from 1914 onwards she worked at various schools in Bristol. The first school at which she taught was Mortimer House School in Clifton. Originally founded as a private school for girls by 1908 there were also boys in the younger age classes. In 1922 the school was relocated from Clifton to Taunton. Her second teaching job was at Knowle Open Air School. Open air schools were socially progressive initiatives that would have been very much in keeping with Doris and Margery’s ways of thinking. The school was established in 1913 for children who were judged to be at risk of contracting TB because of their poor housing conditions and nutritional status. The aim was to give children a healthy environment in which to learn and basic meals, as well as a conventional schooling. The school closed in 1940 and, along with the activities of the other Bristol open air schools, everything transferred to the newly created South Bristol Open Air School based at the former Novers Hill Isolation Hospital. After the Second World War the character of the school changed: few children contracted TB but there was a need to provide schooling for those stricken with the disabling consequences of polio. Margery’s final teaching job was at the Wesleyan School in Backfields, Stokes Croft, Bristol. It closed in 1959 and the building became the City Coroner’s Court and the City Mortuary. Margery, however, had chosen to retire in 1950, then aged 59. The exhibition, ‘A Life in Colour: The Art of Doris Hatt’ is being produced in partnership with The Court Gallery. 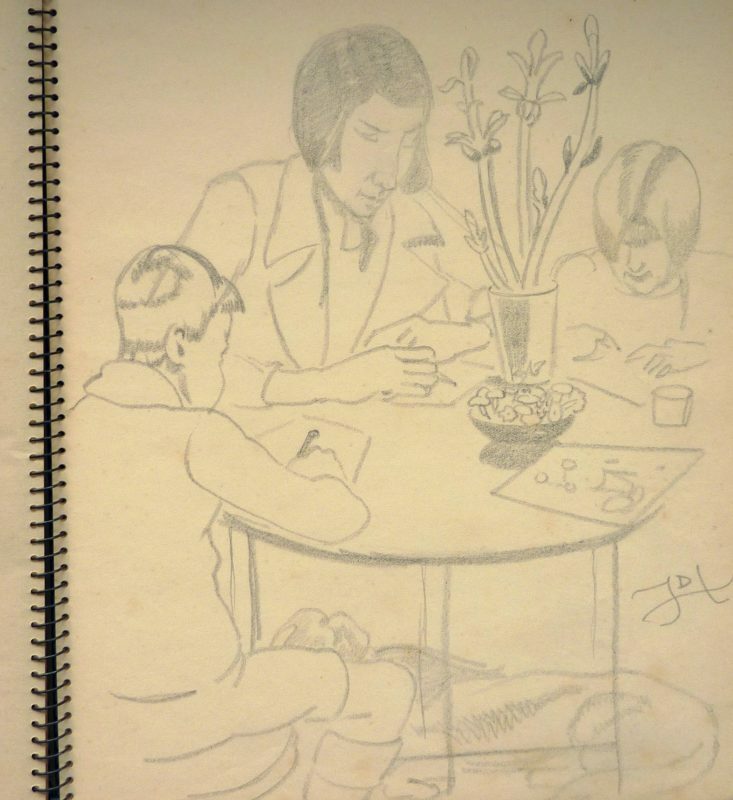 To accompany the exhibition the Gallery has produced a book, ‘Doris Hatt: Revolutionary Artist.’ The proceeds from the book are going to STAR – Somerset Trust for Arts & Recreation. STAR is a Somerset charity that provides opportunities for children and young people to build and develop resilience through taking part in music, sport, art and recreational activities.